A coffee store should stir up the desire to drink a hot cup of beverage immediately. 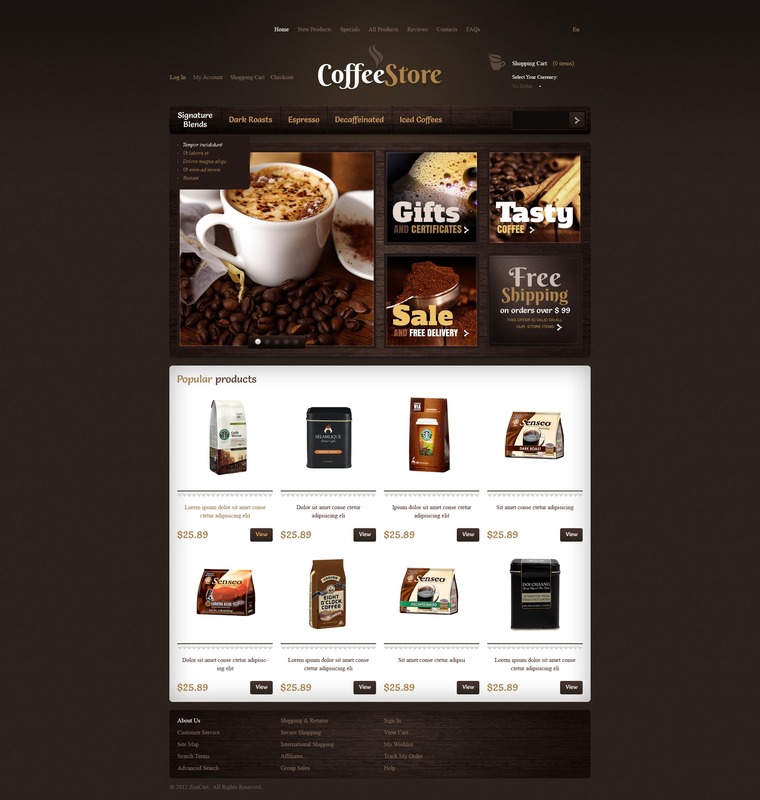 Our template with brown hues and wooden elements in the layout meets the requirement. Thoroughly picked out images in slider gallery make it even stronger. Large fonts and decorative elements grab visitor's attention and promote the product.